Namecheap is always my favorite registrar… until recently it also becomes my hosting company. Yes, I host some of my websites with Namecheap. 1.Register a domain name, I used to be using fresh domain / brandable domain. 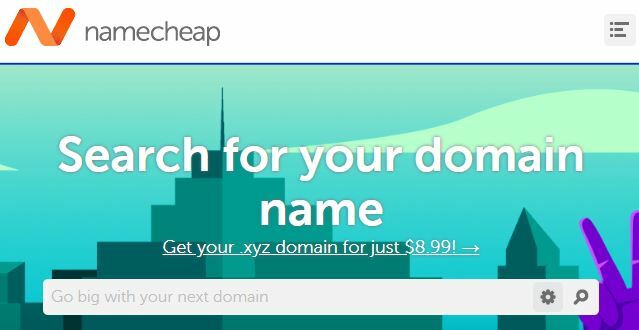 You can directly domain name availability on Namechaep but I do differently. I check the name availability using pcnames, it is a great website. You can instantly know what extension (TLD) by typing the name on their column. 2. After you get the name and its available, click add to cart. 4. The best about Namecheap is they give Whoisguard for free as long as your domain registered with them. With Whoisguard activated, people cannot see who is domain belong to. You can pay Namecheap with a credit card, PayPal, Bitcoin, Dwolla, Visa, Master, American Express. Lots of option. When come to support, they always helpful with fast response.